The planning process begins with your wedding guest list! 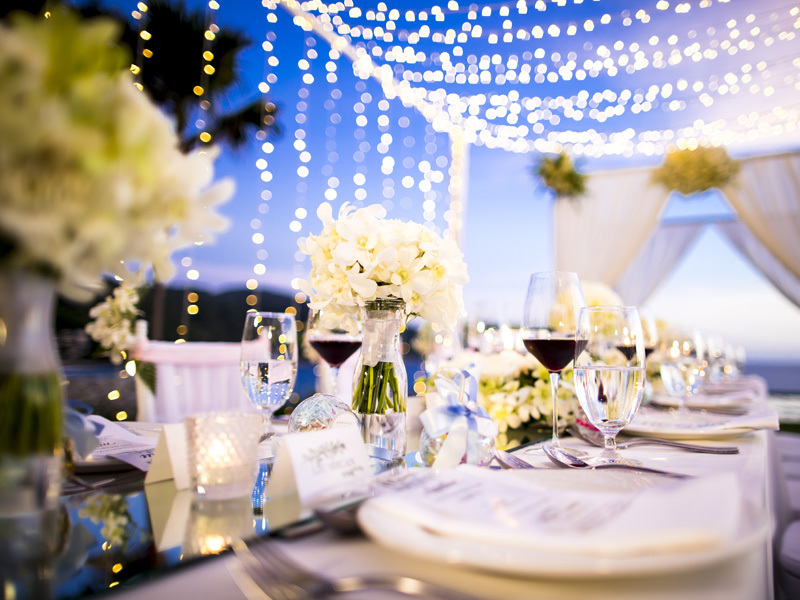 It’s most important to establish your wedding guest list early on in your planning process in order to effectively and efficiently plan your special day. 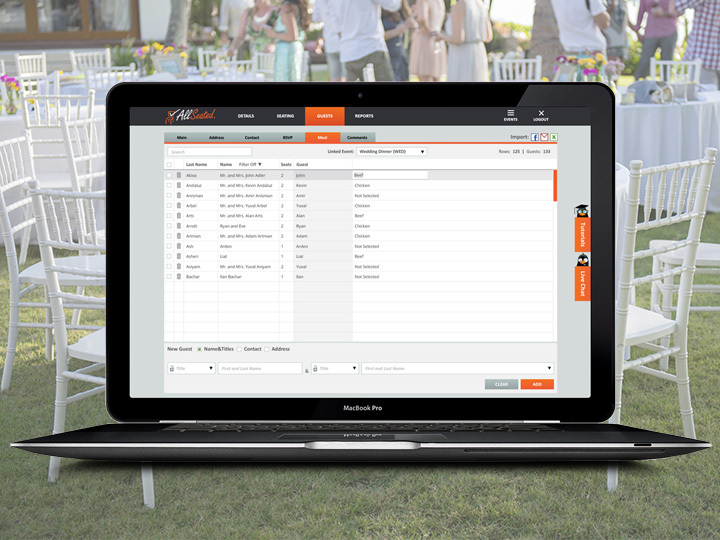 AllSeated makes it easy to store and manage your wedding guest list while also providing many additional features to keep you organized and on task. AllSeated’s wedding guest list provides you with a place to organize and store mailing addresses and information for each guest. 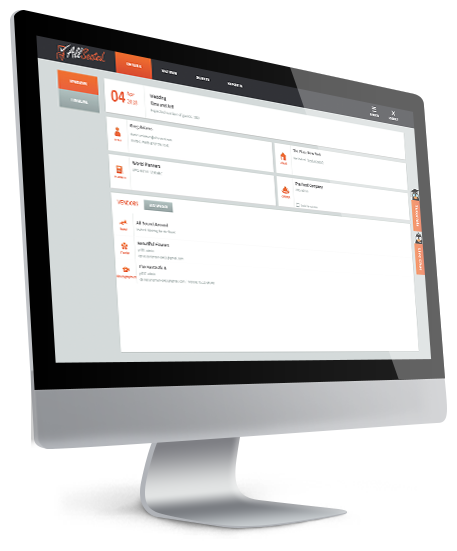 Since AllSeated is a collaborative planning tool, invite your entourage into your AllSeated account to assist you with adding mailing addresses and even, later on, with arranging your seating. Keep notes for each guest within your wedding guest list. Things like meal preferences, food allergies or anything else you need to remember can be stored in the notes section. Easily keep track of your RSVP’s within the guest list as you receive them to stay super organized and on top of who will be able to attend your wedding. This is extra important since you need an accurate list in order to create your seating chart! AllSeated’s guest list features the ability to group guests into categories (such as friends, family, colleagues) as well as the option to specify and filter guests for multiple events such as bridal showers, rehearsal dinners and day-after wedding brunches. This extra level of organization really makes your planning process extra smooth! 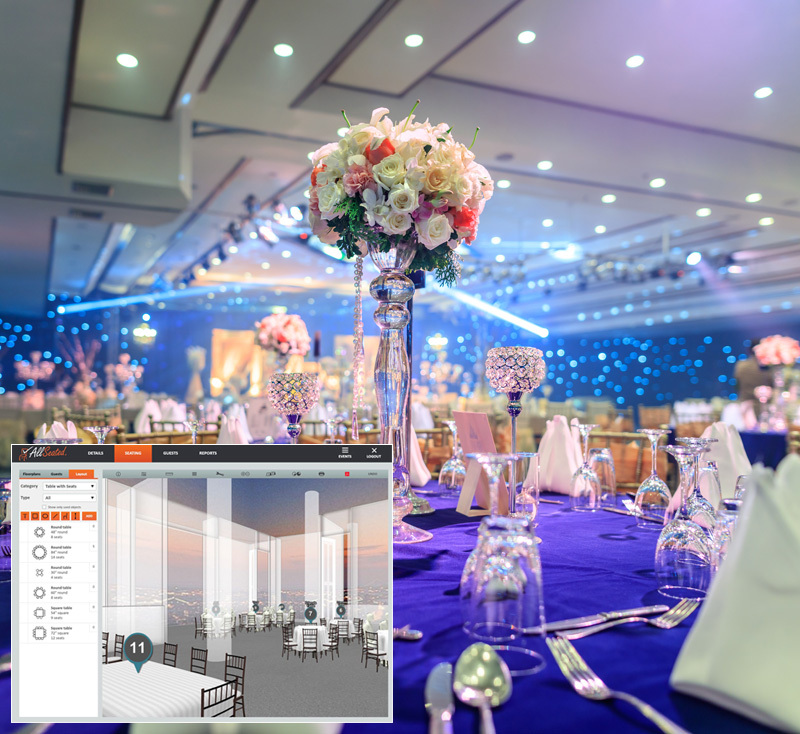 Your wedding guest list links to your seating which allows you to easily arrange your seating chart. Once you receive your RSVP’s, you can conveniently seat guests directly from the wedding guest list at the tables located in the floorplan. You will even have the ability to assign your guests directly to specific seats within your table seating chart if desired! Generating reports from your wedding guest list can be useful for many reasons! By sorting through the filtering options, you can easily generate reports from your guest list for calligraphy items such as invitation orders, place cards and favors. Create another report for your venue/and or caterer with guest count information as well as meal type requests and any other important information needed from your notes section.